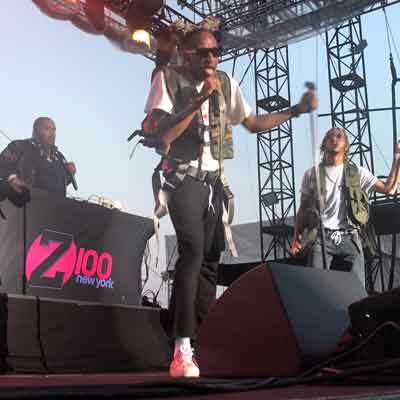 The world famous Z100 brought back its Summer Bash this year. It was held in Manhattan’s Seaport District high atop the rooftop at Pier 17. With the Brooklyn Bridge as the performance backdrop. They offered iconic views of One World Trade, the Statue of Liberty, and the Empire State Building. The only way for attendees to gain access was to win. This was one of Z100’s most intimate events, as the entire cast of Elvis Duran and the Morning Show roamed freely throughout the closed off rooftop, humbly interacting with attendees. It is important to note that Nate Marino, Greg T, and Skeery Jones were the most interactive with guests. Elvis Duran recently became engaged to Alex Carr on July 13. This was after eight years together. He posed for photographs and made an extended effort to highlight his entire morning show team when he made his way on stage. Duran, who crucially opened the door for openly-gay men in mainstream radio, interacted in the same manner he interacts with listeners on a daily basis, and he was in his slimmest shape yet. iHeart tapped Social House as the opener and Liam Payne as the headliner for this year’s event. Social House, who may appear to be new to the music scene with their slick anthem “Magic In The Hamptons,” are actually industry veterans behind the scenes. 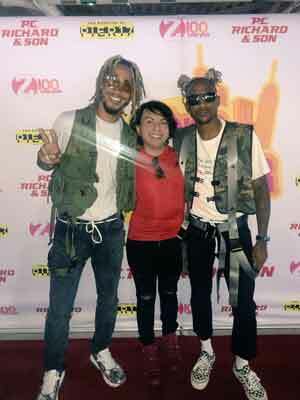 Composed of Michael “Mikey” Foster and Charles “Scootie” Anderson, the two have written and produced music for the A-List likes of Ariana Grande and Jennifer Lopez. Today, the duo is experiencing what it’s like to receive attention on stage, as opposed to behind it. Social House was a warm welcome. They conversing with the press some concert attendees who had won meet-and-greets through station contests. Social House appeared happy to finally be receiving recognition as artists. Nevertheless, the main attraction was still Liam Payne. He performed to a roaring crowd of 900 select guests. Despite the event taking place the same week as the release of his debut EP “First Time,” Liam kept the setlist to the hits. He did not include any of the new material featured on the EP. The Manhattan skyline was the perfect backdrop for the opening number, “Bedroom Floor,” Liam’s seductive R&B-infused single. Performing on stage with four high-energy back-up dancers, this was a rather intimate show. And Liam did not fall short. The evening shined light on his ability to do justice for a plethora of genres. Each of his singles has been geared toward a different sound. Yet, Liam’s uncanny ability to pull off such diversity doesn’t show in its fullest until you see the One Direction heartthrob live. Liam effortlessly switches gears from “Bedroom Floor” to the EDM anthem “Get Low.” It is hands down one of Zedd’s best collaborations to date. 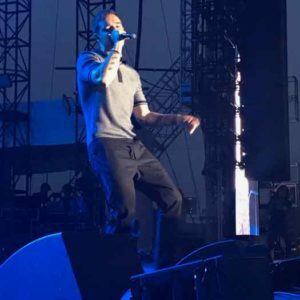 The middle of the set saw Liam slow it down to perform his seductive duet with Rita Ora “For You,” from Fifty Shades of Freed, followed by a heavily interactive performance of one of his favorite songs recorded with his One Direction bandmates, “Little Things,” which sent long-time fans into a craze. Liam Payne on stage. Photos by will Loschiavo. More than half of Liam Payne’s singles so far have been collaborations. But none of the accompanying acts were present, which further illustrates Liam’s ability to carry the hits solo. 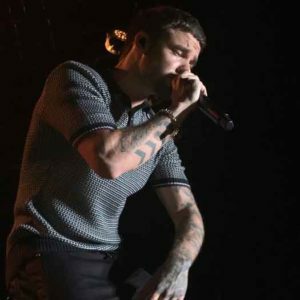 They included “Get Low,” “For You” and his Latin joint venture with J Balvin “Familiar.” Liam closed out the show on a high note with his most successful single to date, “Strip That Down,” which had all attendees singing along in unison and just this week won an award at the coveted BMI Awards. In the eight years since becoming a band, One Direction has sold over 50 million albums worldwide. They were the first band to have all four of their albums debut at #1 on the US Billboard 200. 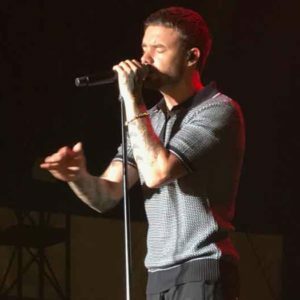 Moreover, Liam Payne has become the only member of One Direction to have all of his singles reach over 100 million plays on the Spotify platform. Unlike other established mainstream artists, Liam does not fret to routinely brush hands with fans in the crowd while performing. He bantered with the audience in between sets, and stay late to take selfies with fans waiting outside the venue. Liam’s humble attitude adds to his charisma, and if he keeps this up, his fan base will only soar. Liam Payne’s debut EP “First Time” is available for purchase on iTunes. He can be heard on all major streaming platforms. The music video for the lead single, which features French Montana, is now available on YouTube. Liam Payne’s brand new single, a collaboration with Jonas Blue and Lennon Stella titled “Polaroid,” was released Friday. More photos and video at YouTube.com/WillLoveInc.